Climactic Climate LaLaLaLaLaLaLaLa–I Can’t Hear You! A few things crossed my path this week, in the wake of Copenhagen perhaps, where I was embarrassed by the title of “Colossal Fossil” that was bestowed upon my country. 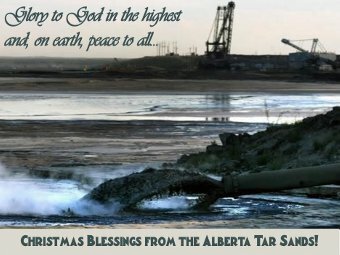 And then a friend of mine said he “got grumpy” and made up his own Christmas greeting card, which I thought was worth sharing. Then there was this video about climate change, “The Big Ask”. In our now time-honoured Sunday tradition, we turn to music. This week in my new series Hymns from the Radio Dial, we get political with a call for social justice from Psalm 137. 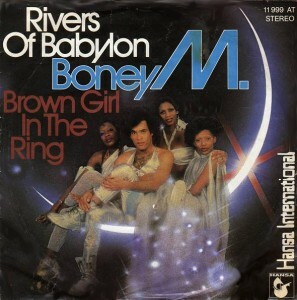 It is most likely that we all remember Rivers of Babylon as a late-70s song by German disco group Boney M. In fact, the song was written and recorded in 1972 by Brent Dowe and Trevor McNaughton of The Melodians (1965-73), a Jamaican group in Kingston, the birthplace of reggae. I’ve been using The Voice translation a little bit lately, and am enjoying it. I received a review copy, and want to offer one — but I begin with an excursus on Bible translation generally and dynamic equivalence specifically, since this will frame helpfully what I want to say about The Voice.